John William Wood was born 8 Jan 1881 in Waco, McLennan, Texas, died 18 Nov 1966 in Fort Worth, Tarrant, TX. He was the son of George Edward Wood and Mary Pamelia Miller. 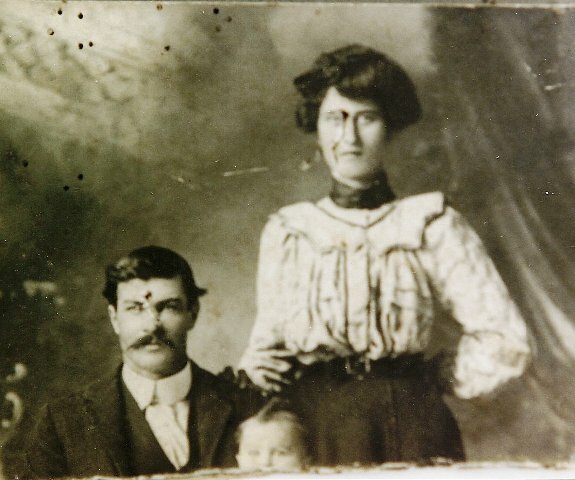 He married Leona “Lola” HOLMES May 20, 1900. She was born 29 Aug 1886 in Mason County, TX and died 4 Apr 1965 in Tarrant County, TX. Clara Mary Wood b. 21 Dec 1906 Menard County, TX; d. 27 Feb 1988 in Tarrant County, Texas; M. Archibald Bernard Danagher Aug 1, 1924.